Plastinex Red Label is a wonderful polymer additive for all your tile bonding needs. 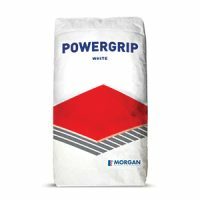 It is a water-based bonding agent which is ideal for use both in indoor as well as outdoor applications. 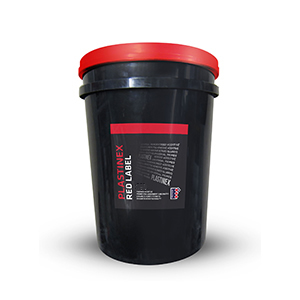 Plastinex Red Label is available in a standard 1L container. As a superior polymer additive, Plastinex Red Label is suitable for bonding non-porous tiles. 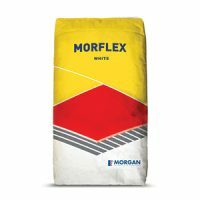 It can be used on natural stone, monocottura, fully vitrified tiles, porcelain tiles and glass mosaics. However, it is unsuitable for bonding metal substrates or priming timber or MDF boards. Plastinex Red Label is flexible tile bonding agent that also works as a general primer for absorbent surfaces. It is safe and easy to use by diluting with water. This tile bonding agent is specially designed to enhance the shear and tensile strength of non-porous tiles to cement based substrates. It can be used both on floor tiles as well as on wall tiles. For a superior and flexible tile bonding agent for non-porous tiles in Perth, you’ll find nothing better than Plastinex Red Label at Ross’s Discount Home Centre. Buy this polymer-based tile adhesive at a great price from our online store.